So we went walking, my teenage son and I. He has started to like walking- mainly with me and only if his younger brother is not there. 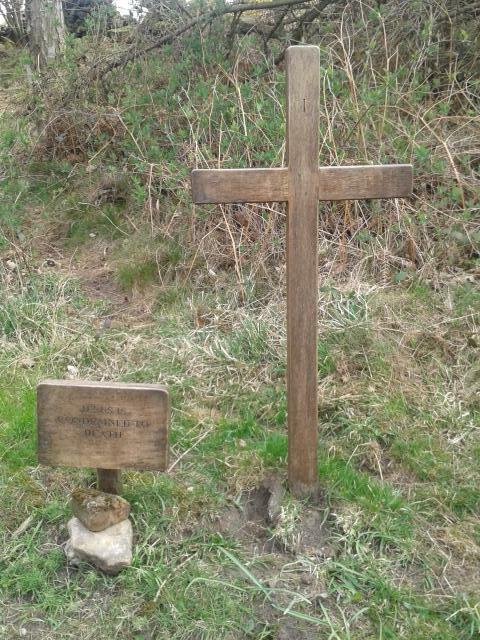 It was- for him- a long walk; a circuit I had plotted around Osmotherley. We laughed together, were silent together and shouted at each other: a typical dad-13 year old son relationship I guess. Towards the end of the walk we came past the Lady Chapel: a Roman Catholic Shrine that has been in existence since the mid 1300s. It is still a place of pilgrimage: a very still and ‘thin’ place. We stopped, looked around and prayed. Then I confessed: I had planned to come here as someone I work with, perhaps in the first stages of dementia had spoken about this place- I wanted to visit it, take some photos and talk about it with them. Then I realised: although I now have a job, it is still just as much a vocation that consumes much more than ‘just’ working hours. I had a long walk last week. I always reckon to go out for several hours around this time every year. I love the autumn colours, the softer light & also the wildness of the weather. It comes after half term & for the last 3 years I have helped run a holiday club. Much as I love this, as an introvert I feel exhausted and want to have some time where there is just me and no one else. In addition, it follows the September madness of business meeting after business meeting after business meeting: if I leave full time stipendiary ministry I will not miss this time. But back to the walk: it was bliss, utter bliss. 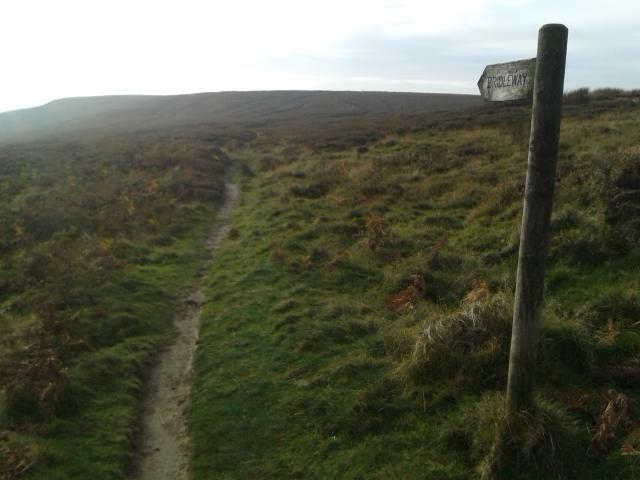 Following a route that a friend had given me & which I needed to use a good map, a compass and intuition, I saw no one throughout 9 miles of hill and moorland. The wind was fierce, so much that my face was still tingling that evening. I began the walk with a mind in turmoil and a head full of tortured questions. I finished the having made some decisions and a strange sense of God given peace. I am so thankful for days like this: even now as I write these words, I am smiling in memory. A few weeks ago I did something to the ligaments in my right ankle. Temporarily I have had to stop my thrice weekly runs. I have been trying to walk more and walk without a reason or purpose; not to get anywhere or do anything. It has been wonderful: as well as keeping up my general fitness it has meant that at points in a day I have not been ‘doing’ anything. One thing about having a job with no set hours is that it is hard to stop as nothing is ever finished; you can always do more. Sometimes you just need spaces where you stop, turn off and pay attention to the scenery. I have done something to my right foot. I did it last week when I was out running. My normal approach when faced with illness etc is like the Knight in ‘Monty Python and the Holy Grail’: ‘It’s only a flesh wound’ so I kept on running and my foot got worse and worse to the extent that stairs were an issue. I cannot now run until my foot improves and I put off the long delayed purchase of new running shoes (post Christmas sales if they still have them). But what to do? I like running- as well as the health boost and the overall feeling of ‘wellness’, there is the space, 3 times a week to ‘cognitively disassociate’ from what I am doing. I sometimes ‘get more done’ when I am running- not that that is the point or even looked for. So I have started to walk at lunch, every day if I can manage it, for at least a mile. Sometimes I walk fast, to get the heart thumping, sometimes slowly and more mindfully & sometimes I can be thinking and not realise that several minutes have passed. But it is really good to have some time when I am not running something/trying to get something done. Occasionally I even pray. Not the world’s most earth shattering picture but one that I took this week when out walking (The Methodist Church has a very sensible rule about something called ‘quarter days’- 3 days every three months taken on top of normal leave to be ‘out’. On one of the three this week I went walking). I love having the space to walk long distances, preferably on my own. Although I thrive on ‘people’ , I need long spaces away from them to function properly. There is nothing like a map, wide, wild open spaces, a thermos flask and walking boots….and a mobile phone that says ‘Emergency Calls only’. It throws all the plans, busyness, strategies into harsh relief: I do not control the world or the church- I merely pass through; hopefully in wonder, hopefully blessing others. The time from now till Christmas with my wife working nearly a full contract is too intense- although I now have an insight into people who live like that. ‘Live’ is not a word I would use- without close family support, ‘exist’ is closer to the mark. Quality time goes, contact with friends declines and thinking space is squeezed. I will therefore treasure this bad photo as it reminds me that there is wilderness and space out there; places I want to reconnect with from January.